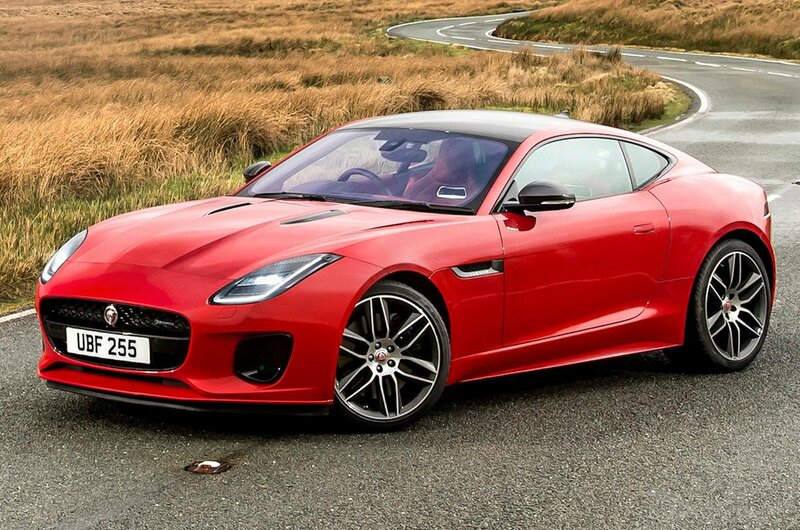 Jaguar F-Type Coupe Performance, Engine, Ride, Handling | What Car? Let’s start with the least powerful turbocharged 2.0-litre four-cylinder engine, which comes only with rear-wheel drive and a smooth but occasionally slow-shifting eight-speed automatic gearbox. On paper, this model is not much slower than the most basic V6, but the reality is different; it needs working pretty hard to deliver its potential and, even then, it’s slower than some hot hatches. And despite some pops and crackles when you back off the accelerator, it sounds a bit dreary. Given that the V6 doesn’t cost much more to buy, we’d definitely recommend the upgrade to the supercharged 3.0-litre unit with 335bhp. It has a six-speed manual gearbox but, because the shift is rather woolly and unsatisfying, we’d opt instead for the auto 'box fitted to the rest of the range. This engine pulls heartily and the extra pep should sate the majority of buyers. The more powerful V6 has 375bhp. 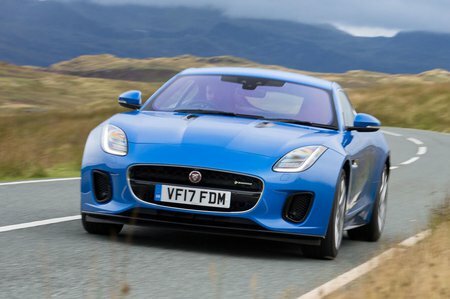 It can be specified with rear or four-wheel drive and feel properly quick, with a glorious howl from the standard sports exhaust, so is quite tempting as a result. Next up is the 5.0-litre supercharged V8 in the R. It’s a 543bhp powerhouse that offers truly exhilarating acceleration and, for that reason, you’ll be glad of the standard four-wheel drive that makes the car surprisingly drivable and very grippy, even in bad weather. Also, with the standard sports exhaust, it offers one of the most hilariously brutish engine notes you can find on any new car on sale. At the top of the tree is the 567bhp SVR. As with the R model, this gets an automatic gearbox and four-wheel drive as standard, and it has the pace to hold its own against supercars such as the McLaren 540C. 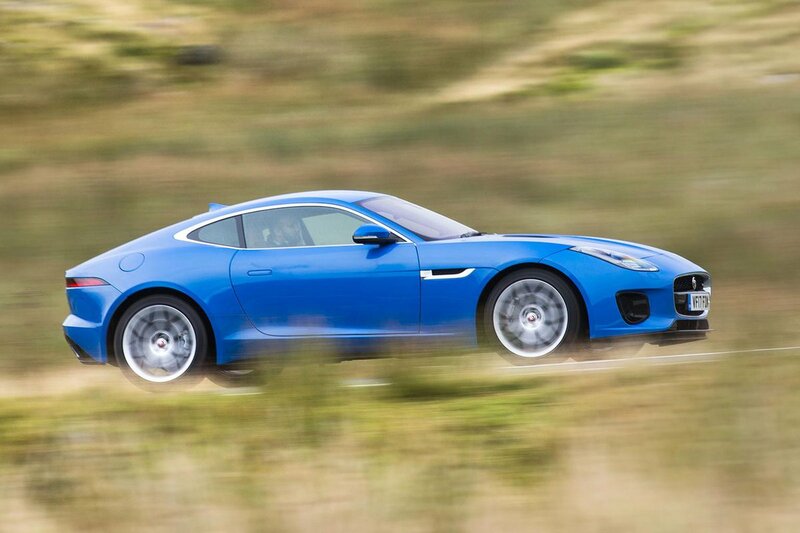 The F-Type is heavier than rivals, such as the Porsche 718 Cayman and 911 Coupé, and you feel that on the road. Start attacking corners with gusto and it’s less nimble, while the steering isn’t as feelsome, although it is precise. The rear-wheel-drive models can get a bit lairy in the wet but are great fun in the dry; the four-cylinder doesn’t suffer from this quite as much due to its lower power output. Meanwhile, the four-wheel-drive models are a lot more sure-footed. Suspension on the entry-level four-cylinder and V6 cars comes with conventional shock absorbers and the result is a ride that’s sports car firm but not overly bumpy. It never becomes uncomfortable, but you’re always aware of undulations in the road as the car's wheels pass over them. The more powerful V6 model comes with adaptive suspension that improves ride comfort while helping to counteract body pitch and roll in corners. This still leaves the ride a little unsettled on scruffy surfaces, but it's that bit more supple, particularly around town. The range-topping R and SVR versions also get an adaptive set-up, but it’s altogether firmer and more focused than that in the higher-powered V6, so don’t buy one expecting top-notch comfort.